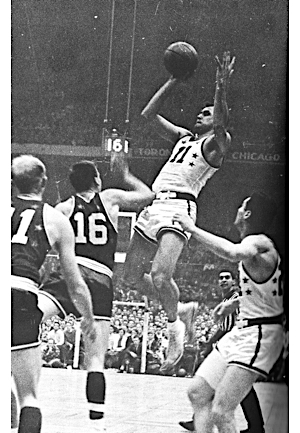 Paul Arizin led the NBA in scoring in 1952 (25.4 ppg) and 1957 (25.6 ppg) and was among the league's best each season. 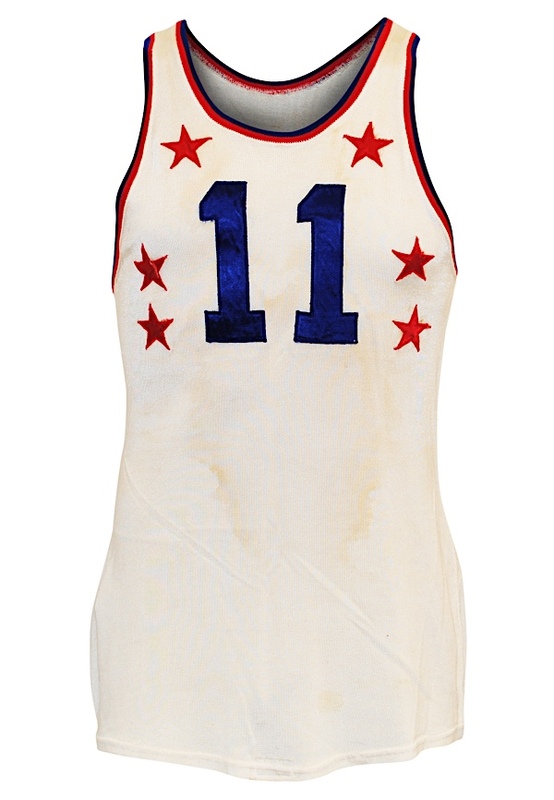 As a member of the Philadelphia Warriors, Arizin played in the NBA All-Star Game in each of his ten pro seasons. He was inducted into the Basketball Hall of Fame in 1978. NBA Top 50 Player. 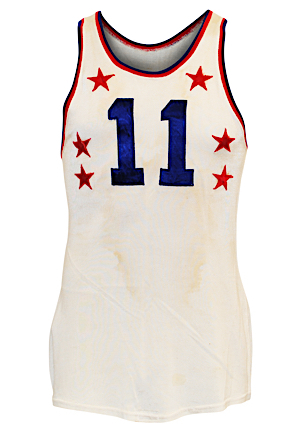 During the 1952 All-Star Game, which was the second ever NBA All-Star game, Arizin scored 26 points for the Eastern Conference en route to MVP honors in a 108-91 victory. 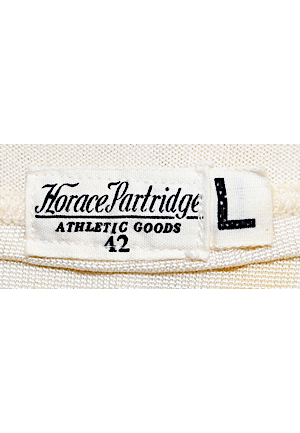 Inside the center front tail of the durene jersey is the Horace Partridge manufacturer’s tag size “42” with an attached flag tag reading “L”. 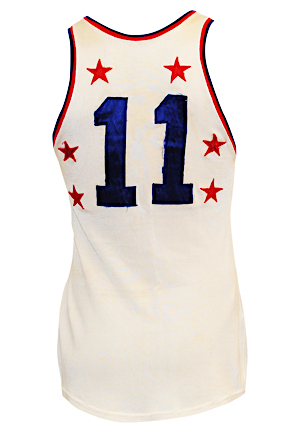 On the front and back is the player number “11” done in blue tackle twill surrounded by six red tackle twill stars. This jersey is properly tagged, was presented to us as game-used and in our opinion, shows appropriate use. Accompanied by a Arizin LOA. Auction closed on Thursday, June 28, 2018.